When we reach Stage II, we are talking serious performance, but never fear- the engine is still configured around longevity and reliability. Stage II Engines remain 100% street-able and do not suffer consequences from being built larger, and more powerful. At Stage II , the drive-ability is not compromised to make way for more RPM, and higher performance potential. These engines are built primarily around strength, and durability, so they can live through the rigors of the track. With our extensive engine design that has gone into this portion of our program, the Stage II engine is a true dual purpose, street and track engine. This makes the Stage II the engines the ultimate in reliability, and performance for full time street use, or mixed track and street usage. The Stage II is the bridge between street-ability, and track performance. Remember, we refer to any activity that requires the use of a helmet to be “track usage”. This include High Performance Drivers Education (HPDE), Autocross, Time Trials, Hillclimbs etc. Stage II Engines are not intended for competition, for those applications, we offer the Stage III “Track Performer Plus” engine. 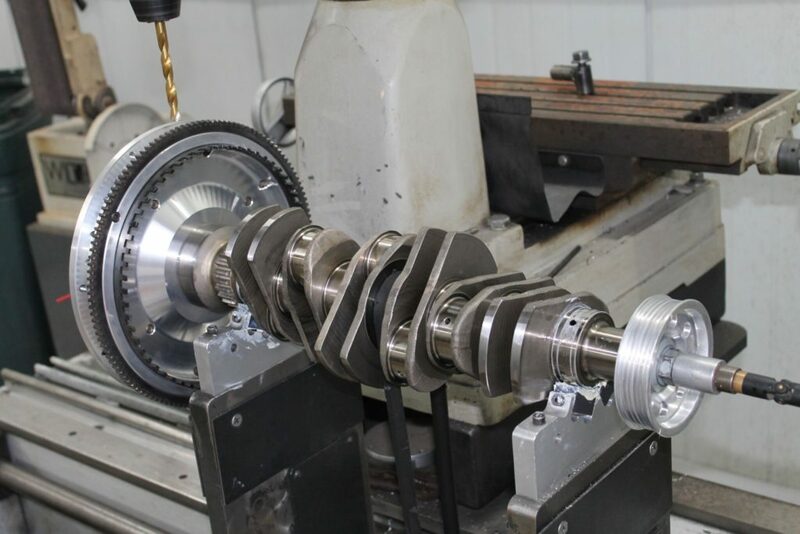 Stage II engines feature all the same components and processes that go into our Stage I, engines and couple those to even stronger components, tighter dynamic balance tolerances and even more dedicated hours of hand assembly by a single pair of hands from start to finish. 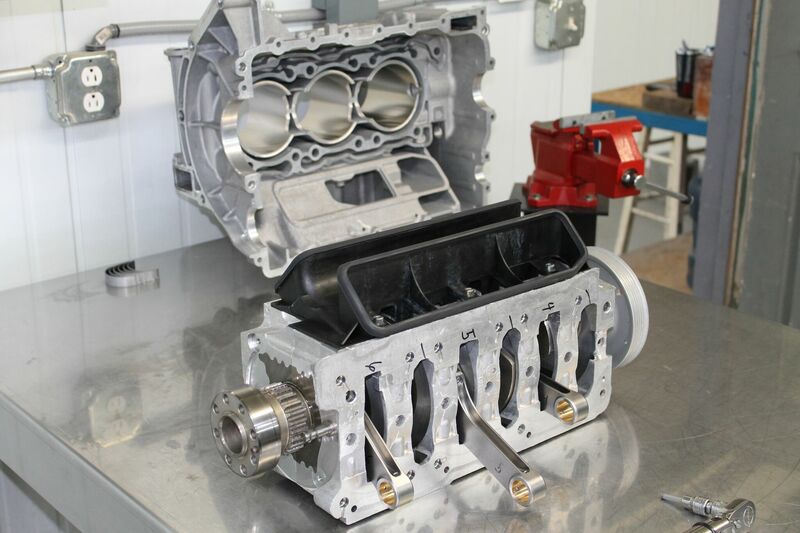 With these engines we utilize nano coatings on bearings, add extensive cylinder head porting, and can configure them for pump fuel, or race gas. 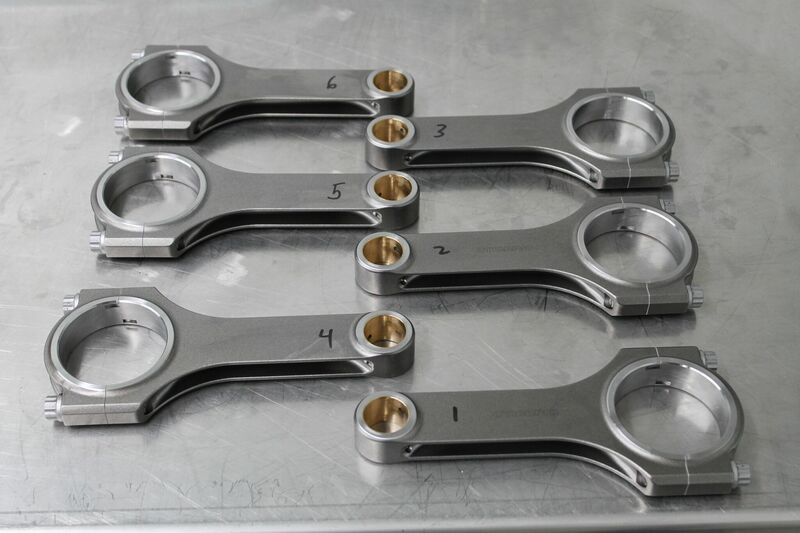 We couple billet connecting rods to CP Forged Pistons, and Total Seal piston rings, coupled to LN Engineering “Nickies” billet cylinders, plated with Nikisil. 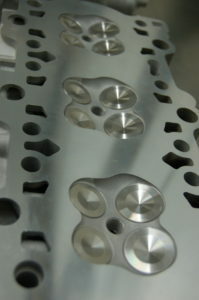 Of course, like all Performer series engines, the fitment of the IMS Solution www.imssolution.com is standard equipment on all Stage II engines. 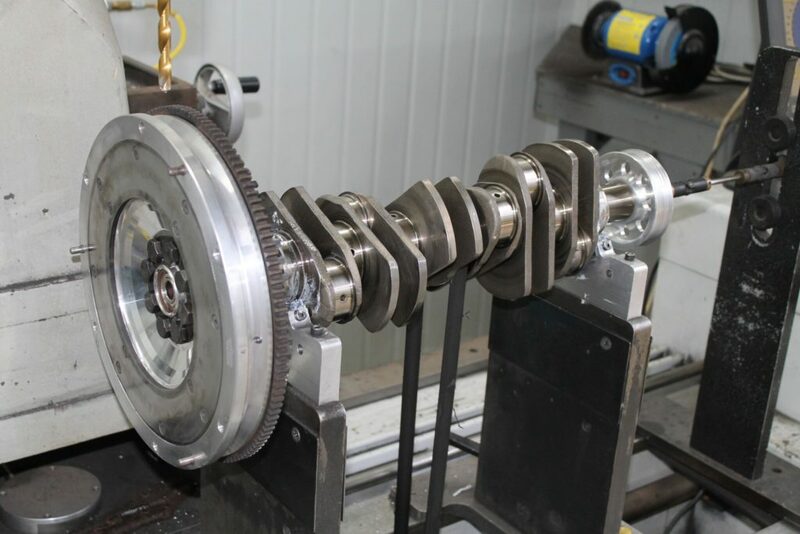 Invented by Jake Raby, and 100% tested, and developed here at Flat 6 Innovations, the IMS Solution remains the only permanent solution for IMS Bearing failures. As you can see, or will see throughout your research, our engines are comprised of top shelf components, and are built without compromise. 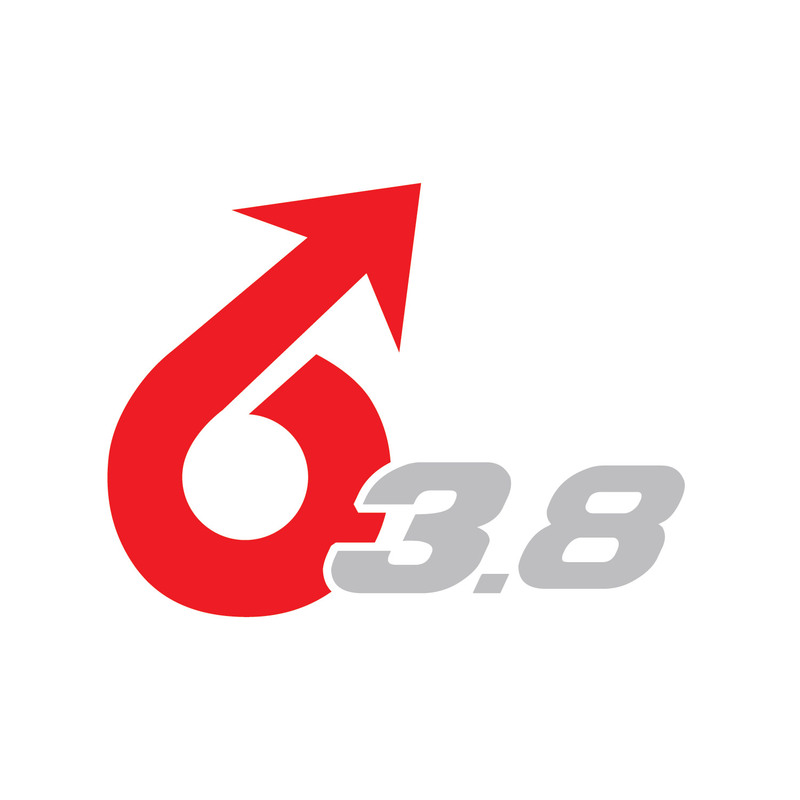 Over and over again as you research who should build your engine, you will be referred back to Flat 6 Innovations, where it all began. Home of the originators, not the imitators. If you are motivated by the fear of being average, show up to your local PCA event, or track day with a Flat 6 Innovations Stage II Track Performer engine. 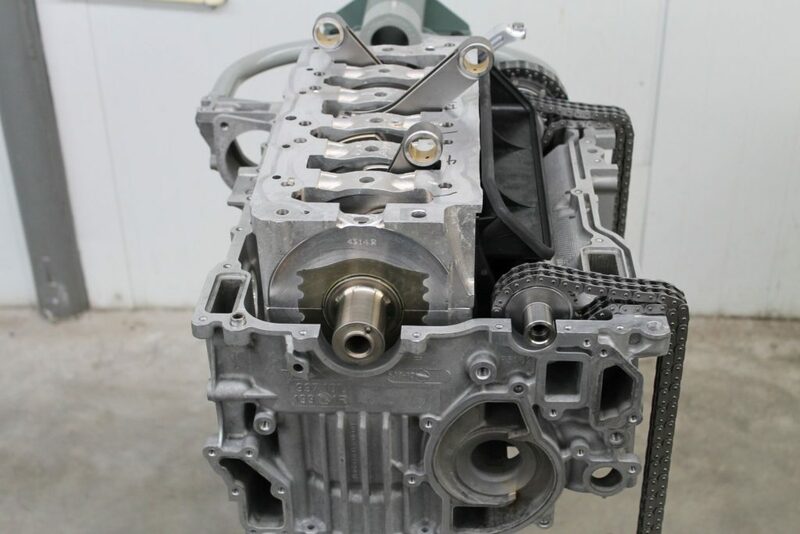 Stage 1 engines are offered in complete form only, we do not offer any “short- block” or “long- block” engines like the factory, or mass producers offer. These other engines are not complete, and are best described as “some assembly required”. We’d never trust critical assembly of our engines to be carried out by another facility, or person; so, we choose to do things differently from the rest, and do it “all the way, or not at all”. Our engines are supported with a full program that fits your vehicle with our engine, with all processes being carried out under our roof, beginning with engine extraction, and continuing until the vehicle is restored back into service, fitted with it’s new Flat 6 Engine, then tested using one of our four Dynamometers. Vehicles return home after a 120 mile break- in/ testing regimen. This ensures we are delivering a proven engine, that’s fully tested, and ready to be driven from day one. We offer extensive resource materials for vehicle owners following our reconstruction processes. This information will support the vehicle for the first 120,000 miles of its new life. Resource materials include video, charts, timelines, and pages of specific information on the topics of servicing, and driving your Porsche fitted with our engine. We also supply you with all the documentation from our processes, including photos of the teardown, and assembly, as well as videos of the testing sessions. For those who do not wish to ship their vehicle, we do work with 30+ Certified Installers worldwide who have attended Mr. Raby’s hands- on training classes offered by www.theknowledgegruppe.com. In some cases these Certified shops will extract your engine, ship it to us for our reconstruction process, then re- install the engine upon the completion of our processes. While ECU Tuning is not required for Stage II engines in most cases, we do offer our proprietary handheld programmer for those who want the flexibility of different tuning profiles. 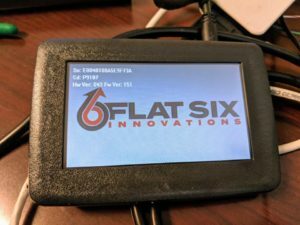 With this handheld programmer, the vehicle owner can toggle between 5 different stock, and custom tuning profiles created by the Flat 6 team. These files are not generic, and are created based from the performance data gathered directly from your vehicle on our chassis dynamometer. In some cases the engine may see induction, or exhaust modifications that may require an ECU tune to be performed to correct enrichment changes created by these components. In other cases the owner may want to change between fuels, or have tuning profiles set up that are geared more toward track usage, or street usage. The tuner allows the same engine to change it’s identity in less than 15 minutes, with no tools required other than the handheld programmer. Performance tuning is available for all Porsche sports cars from 2000 to present day. The 1999 Porsche 996, and 1997-1999 Porsche Boxster are not currently supported with our tuning program. 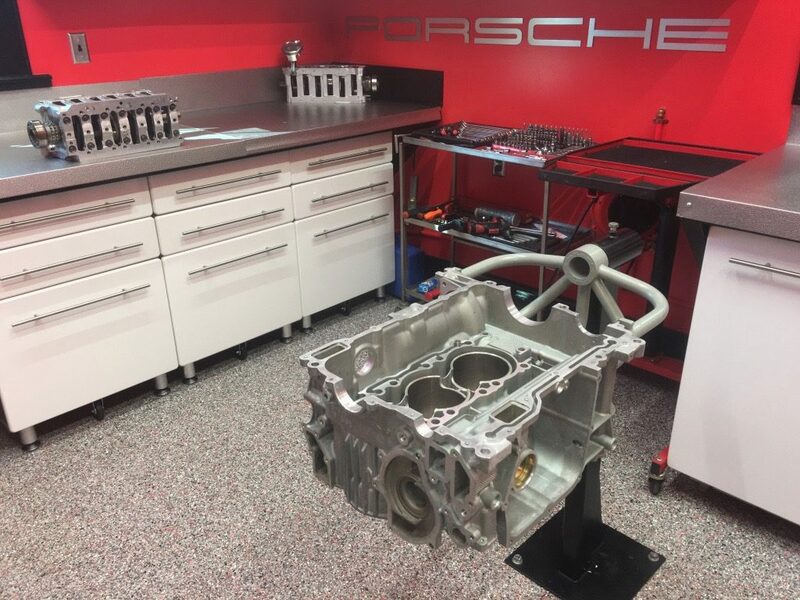 Vehicle owners can choose to have their Porsche “tuned” while the vehicle is still at Flat 6, or we can work remotely using the data collected during your chassis dynamometer sessions after the engine was built. Doing this we can provide you with a tune many years after the engine was originally built, as long as the car is post 1999. Note: Flat 6 Innovations only provides ECU Tuning for vehicles that have a genuine Flat 6 Innovations engine fitted to them. Proof of purchase is required. Factory engines, and vehicles that are fitted with engines built by others will not be supported. <p”> LN Engineering Nickies cylinders are utilized in ALL Flat 6 Innovations engines because we developed them, and they solve problems and correctly allow for larger displacements. At this point, displacement is key to increasing useable power and flattening the torque curve for increased drivability and overall performance. 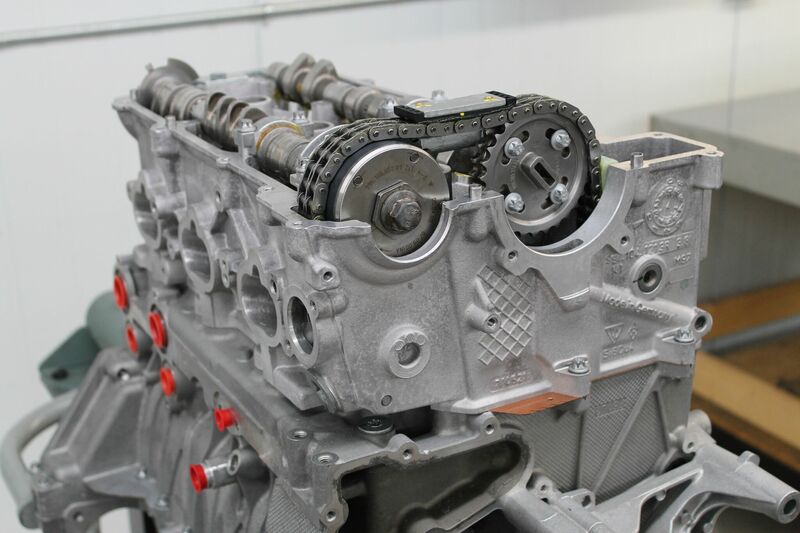 With LN Engineering’s proprietary aluminum alloy, which is up to 66% stronger and has twice the cooling capacity, larger bores can be done safely while improving longevity and reliability. Nikasil plating, as used in the 911 Turbo, GT2, and GT3, provides additional horsepower from reduced friction and improved wear characteristics over that of stock cylinder alloys. 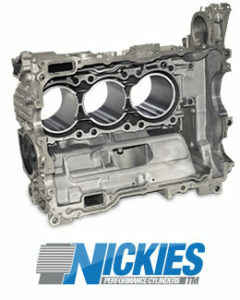 Starting in 1999 Raby Enterprises Inc (the parent company of Flat 6 Innovations) started developing “Nickies” with LN Engineering; so the technology that we use in each engine is something that we know better than anyone else. As a byproduct of this effort, and collaboration, Flat 6 Innovations was rewarded by 100% proprietary cylinder, piston, and ring profiles. These are not offered to any other company, despite what you may be told “by the other guys”. 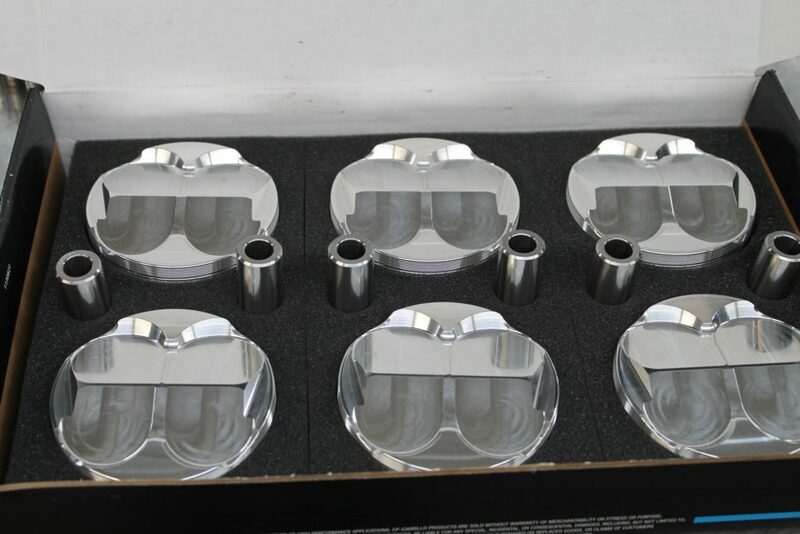 Head upgrades increase the engine’s ability to breathe, thus increasing RPM range and performance capabilities. 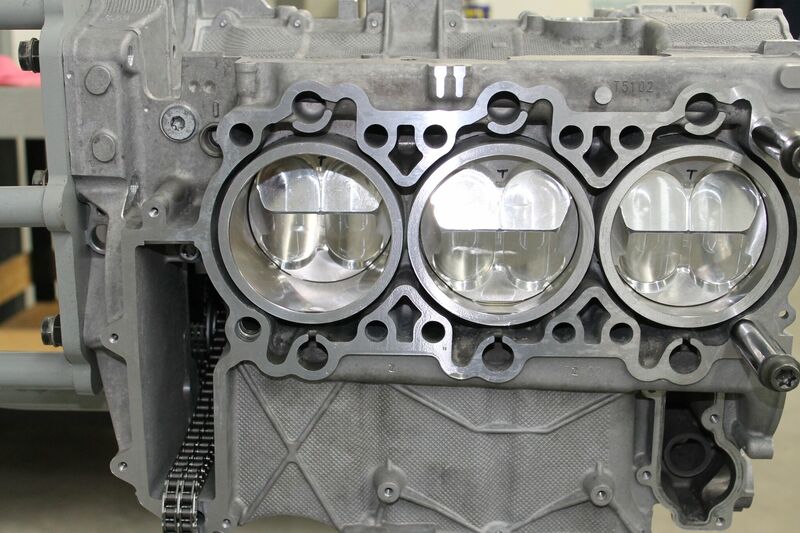 We have already proven that the stock water- cooled cylinder head has incredible flow right out of the box for it’s bore size and engine size and that it’s design won’t allow any larger valves to be easily fitted. 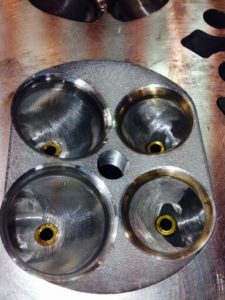 This stock head when coupled to our competition valve job, custom lightweight valves(optional at Stage II), improved spring pack (optional at Stage II), and only polished ports reshaped only for port balance is capable of well over 50HP of performance gain. When added displacement is coupled to these heads the entire RPM range benefits from the gains and really has the balls that it should have had from the factory. All that said, these factory heads are awesome, they are by far the best aspect of the engine, not offering very many modes of failure and not experiencing reliability or longevity issues outside of typical cracks that occur as collateral damage from failed water pumps. This makes it very easy for massive power to be made, but of course we must work to maintain drive-ability, this is why the Stage II is perfect for extensive track service. 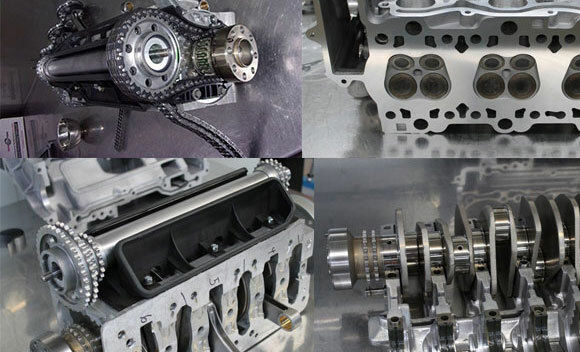 For the ultimate experience, we offer our (optional) R51 custom CNC cylinder heads for most Stage II applications. 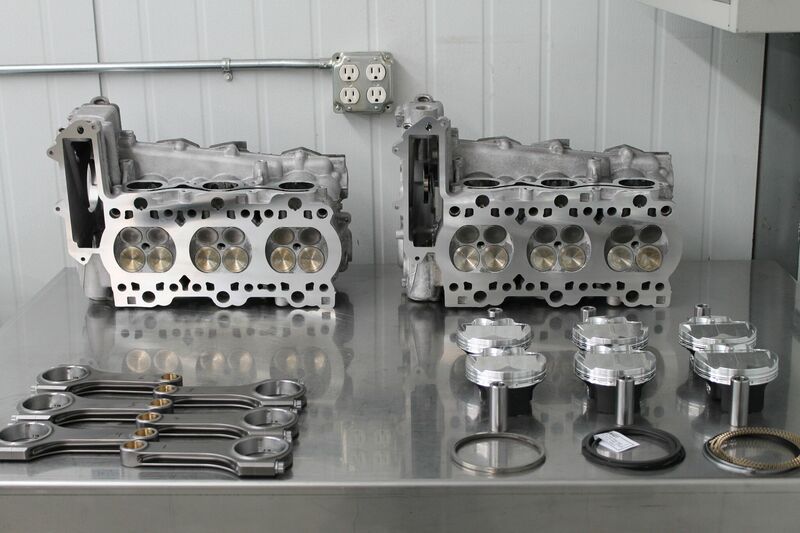 These cylinder heads feature CNC ports, with a list of features that are so advanced that they are outlawed from competition classes in PCA, SCCA and most other racing organizations. With these we can build a street-able, dual purpose track engine that’s more advanced than a race engine that has to conform to a rule book. 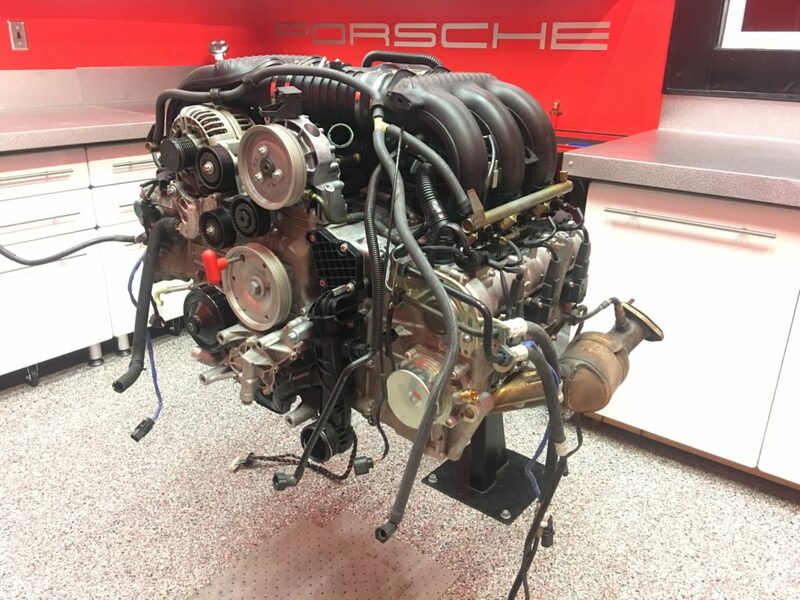 The typical purchaser of a Stage II engine can be someone who drives their car everyday, and thinks they may want to take it to the track in the future, all the way to a PCA Driving Instructor who only drives his car to and from the track, for track days. The Stage II will perform well in both these scenarios, as well as everything in between. Its a thoroughbred, and was conceived to perform, and last. 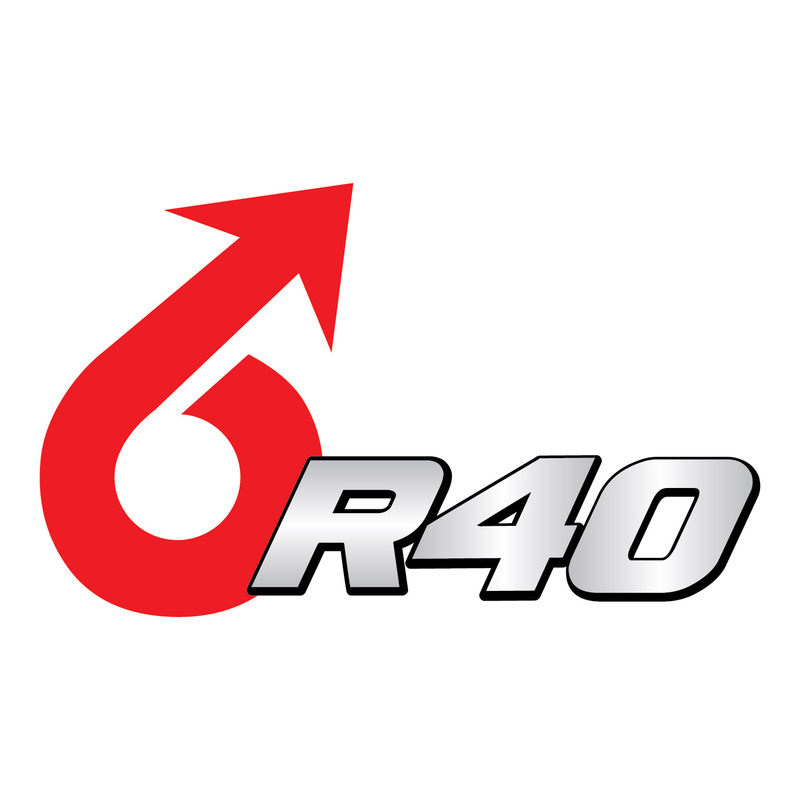 With the Stage II Track Performer engines you will ope the “R” designation which denotes the Track Performer level of preparation. Vehicles equipped with Flat 6 Innovations Stage II Track Performer engines rate “R” status, and body badging. 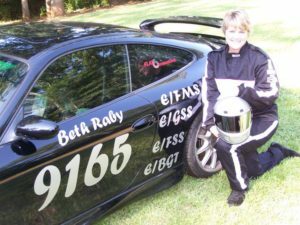 In 2010, Beth Raby set 4 Land Speed Records with her 1999 Porsche 996 C2 powered by a Flat 6 Innovations Stage II Track Performer engine. Throughout 2009-2011 this 996 also served as her daily driver (60 miles per day), with only aerodynamic changes being made to the vehicle prior to heading to the track. Today, her records still stand in all 4 classes. To receive a pricing/ performance quote for your Stage II Street and Track Performer engine, submit a ticket through our sales support ticketing system. Your message will be replied to within 24 hours, even on weekends.